WMG at the University of Warwick have just begun work with a consortium of 11 organisations led by Latent Logic in Oxford on a £2.7 million UK government funded project to create a highly accurate virtual reality simulator environment, including artificial intelligence (AI) trained models of pedestrians and road users, to test connected and autonomous vehicles (CAVs). OmniCAV, which was awarded funding as part of a competition run by the Centre for Connected and Autonomous Vehicles (CCAV) and Innovate UK, will be fed by highly detailed scans of real roads, traffic camera data, accident data and near-miss analyses. These inputs will be used to create a high-fidelity model of real-world roads, which will be populated with realistic artificial intelligence (AI) based road users. This model will used to create an extensive open-access library of VR simulator scenarios to test connected and autonomous vehicles. ARRIVAL is a technology company making vehicles the way they should be – smart and electric. We believe that everyone benefits from a world without combustion engine vehicles. We are currently focussed on commercial vehicles, with a van, bus and taxi in development, and plans for more. We are working with some of the world’s leading businesses and governments, and are currently running a series of trials with companies like the Royal Mail. We also supply the electrical components to the first fully electric and driverless racing series, Roborace, which is our sister company. OS is Britain’s national mapping agency, providing the geospatial framework relied upon by government, industry and the general public. 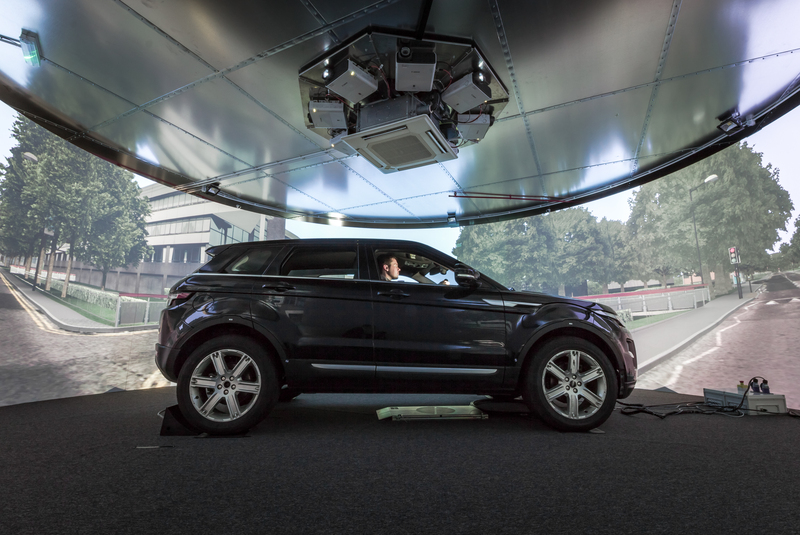 Its role within OmniCAV is to specify, capture and maintain the high-resolution spatial data required within a robust autonomous vehicle simulation environment. OS will work alongside the other members of the OmniCAV consortium to establish a specification and standard for a geospatial dataset to act as the underpinning reference, or digital twin, for CAV simulation. Based on this specification, OS will capture and process data within the OmniCAV test area, using a variety of terrestrial and airborne sensors. OS will encourage as many other parties as possible to utilise and build on this reference dataset, with the aim of developing a scalable UK exemplar built around the Oxfordshire test area. OS’s involvement will also extend into other key work packages to provide geospatial support through the full scope of the project. Oxfordshire County Council (OCC) is the highways, public health and emergency services authority located at the geographical centre of current connected and autonomous vehicle R&D projects. As the first UK authority to include connected and autonomous vehicles (CAVs) in local strategy and development plans, as well as to have a dedicated team, OCC is keen to support the safe growth and deployment of CAVs, and promote an equitable change to smart mobility. In OmniCAV, OCC will be providing data crucial to construct and evaluate the simulation environment, local knowledge and facilitate the road trials. Moreover, OCC will be leading on the citizen engagement during the project. accommodates the different functions related to driving simulation - including physical hardware interfaces, image generation, database generation, modelling, vehicle dynamics and scenario creation. For OmniCAV, XPI will be leading the design and development of the core simulation software that will be used to test autonomous vehicles. This activity will draw upon the CAV3 feasibility study, Certification of Autonomous Vehicles in Synthetic Environments (CAVinSE), which XPI is leading. XPI will draw upon the resources of its parent company in order to deliver a design that ensures a root of trust within the simulator, providing a secure environment for OEMs, regulators and certification bodies alike. XPI will also leverage Thales’s experience and expertise in complex, mission-critical domains across defence, aerospace, transport and security.